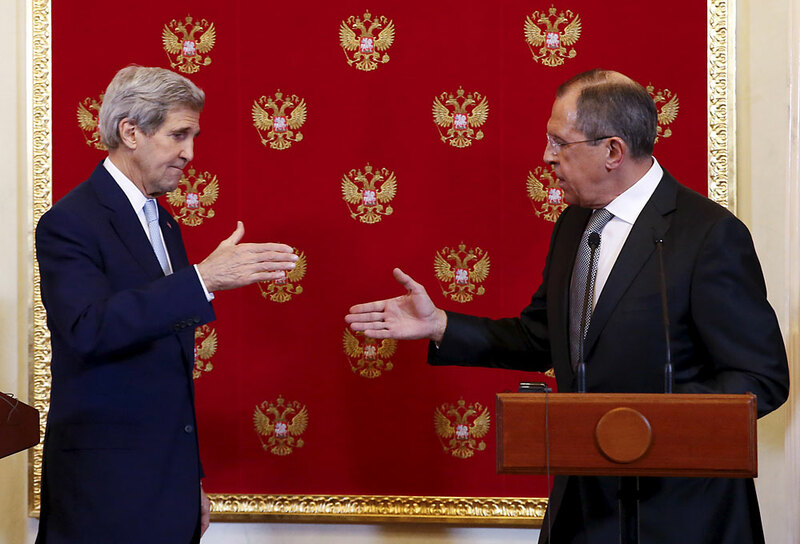 Russian Foreign Minister Sergei Lavrov (R) and U.S. Secretary of State John Kerry (L). Moscow has asked for time to decide on North Korea sanctions. Russian Foreign Minister Sergei Lavrov and U.S. Secretary of State John Kerry will continue to coordinate their approach towards a United Nations Security Council resolution on North Korea, Sputnik News cited the Russian Foreign Ministry as saying. “Heads of the foreign services continued coordination of approaches to complete work on the UNSC resolution, on measures imposed against North Korea in response to the violation of the previous decisions,” the ministry said, according to the report. A Security Council resolution calling for strong sanctions on North Korea to punish it for a nuclear test and satellite launch is being delayed as Russia has asked for more time to review it.